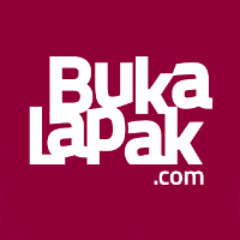 The Longman Complete Course offers a comprehensive language course for students preparing to take the TOEFL Test in either format¿paper-and-pencil, or computer-based. Focusing on skill-building strategies for more advanced students, this multimedia course is appropriate for use as a primary test preparation text or as a supplement to general courses. The book and CD-ROM offer instruction and practice in the same skill areas, but each contains all different questions and test items. The interactive CD-ROM may also be used for self-study. Language skills presentation and practice for each section of both the computer-based and the paper tests, introducing material typically covered in the TOEFL¿ Test. Extensive practice exercises for each of the language skills, designed to maximize understanding and retention. Test-taking strategies for each section of both the computer-based and the paper-and-pencil tests, providing clearly defined steps to improve performance. Diagnostic pre-tests and summative post-tests for both the computer-based and the paper tests, to measure needs and mastery. Complete practice tests for both computer and paper tests, to familiarize students with the actual format, style, and timing of the tests. An Audio Program in both audiocassette and audio CD formats includes recorded listening material for use with the book. The Listening sections of the book cannot be used without this program. 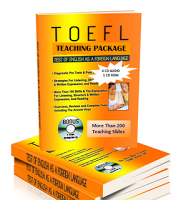 Over 800 practice questions covering all the language skills tested in the TOEFL¿ Test. Three section tests and two complete tests, with more than 850 new test items. Pop-up explanations for all test items. Record-keeping and scoring functions to monitor student progress. Full simulation of the adaptivity, timing, and scoring of the actual TOEFL¿ Test.